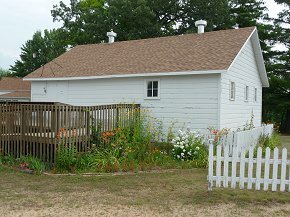 The nationally-acclaimed Zachow Depot is more than a perfect replica of the late 1920’s Zachow train depot. It also contains an interactive scale model of the town of Zachow as it existed in 1949. 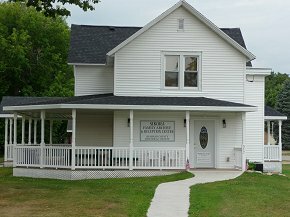 The Sikora Family Archive and Reception Center serves as a reception center, and a place to preserve, store, and make available to the public historically significant paper-based history of Shawano County. The Dairy Museum was once used by the county to store oil. Now the building celebrates agricultural and dairy history with artifacts and displays. The 1884 Judges’ Stand stood before the grandstand at the County Fairgrounds to give judges a good view of the horses as they crossed the finish line. Now it graces the grounds of Heritage Park. 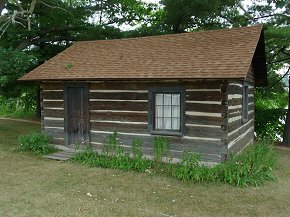 The meticulously reconstructed and furnished authentic log cabin is reminiscent of the typical log house and life style of the early European settlers in Shawano County. 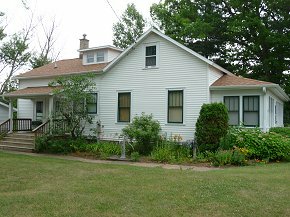 The Kast House was built in 1871 by mill owner John Kast. Wonderful period pieces and remarkable memorabilia furnish the building. 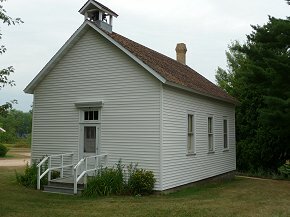 The authentic one-room school house is furnished with desks, books, slates, maps and other memorabilia of an early school. 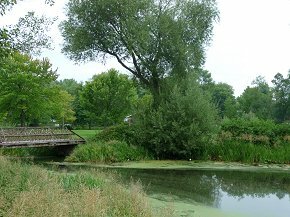 The park grounds include Sunset Island, historically known as “Monkey Island”, which is the exact location of Samuel Farnsworth’s sawmill, the business that started the development of Shawano County by European settlers. 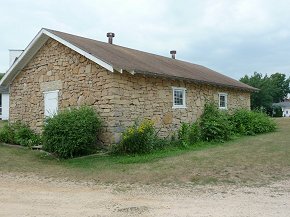 The limestone building was built by Shawano County in the 1930’s, as a specialty building suitable for storing tires, dynamite, and other things due to its thick walls and temperature moderating qualities. Now it contains historical displays about lumbering, health care, maple syrup production, early tools, and more. 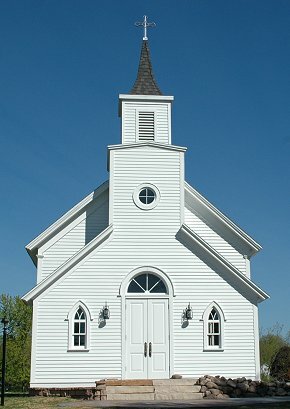 The Old Tabor Church was built in Belle Plaine Settlement circa 1891 and moved to Heritage Park in 2013. 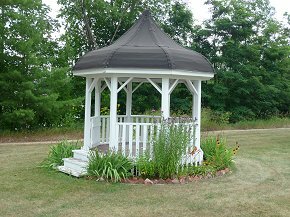 This restored historical building is available to be rented for weddings, memorial services, reunions, concerts, and other family and community events. The church comfortably seats 60 adults in its pews and offers limited overflow seating. 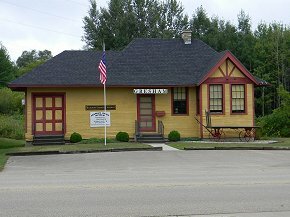 The Gresham Depot Museum, on Main Street in Gresham, features a 1907 Wisconsin Northern depot and railroad artifacts. 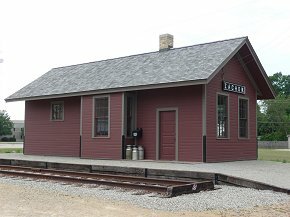 Tours of the Gresham Depot are conducted Saturdays from 1:30 to 4:00 PM from June through August. 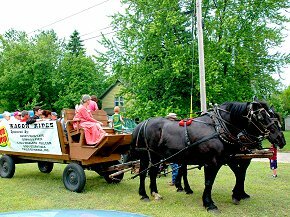 The Rhubarb Festival held at Heritage Park every June features music, food, museum tours, craft demonstrations, old-time children’s games, and more.